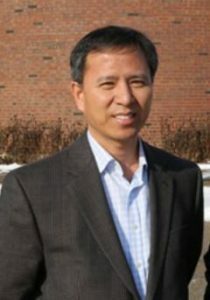 College of Education Professor Do-Yong Park was awarded a Fulbright grant to strengthen science, technology, engineering, and mathematics (STEM) education practices in Cambodia. Park will collaborate with faculty and doctoral students at the Royal University of Phnom Penh from December 2017 through March 2018. There, he’ll be teaching methods courses and completing inquiry-based STEM education research. Park decided to apply for a Fulbright grant following a 2016 visit to the Southeast Asian nation, where he led a math and science workshop in secondary education. Park’s research will help fill that gap by empowering higher education institutions to create a STEM model to train future and current teachers. While this is Park’s first Fulbright, his extensive international work includes conducting STEM workshops in Thailand, serving as a curriculum consultant to the United Nations Educational, Scientific, and Cultural Organization (UNESCO), and leading a study abroad program to South Korea for 10 years. Park was also part of an effort to establish Cambodian Youth Technical and Vocational Education and Training (CY-TVET), a non-profit that provides vocational training to high school graduates.